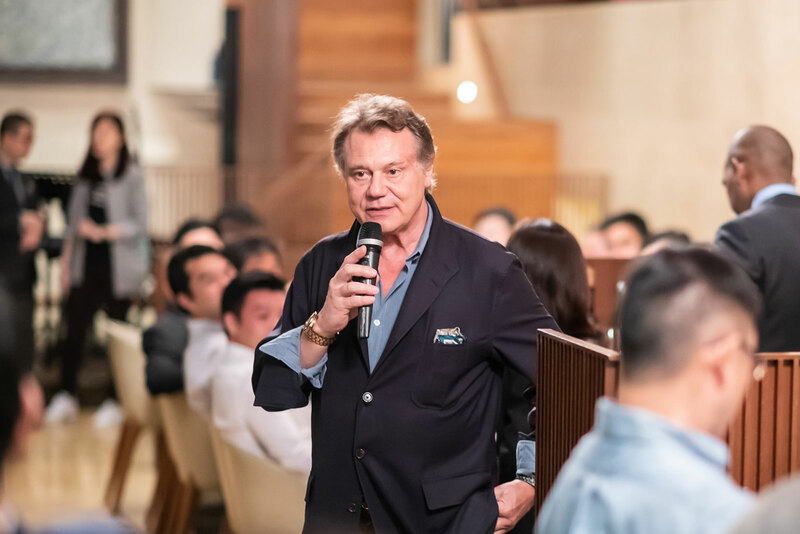 In Singapore two weeks ago for a charity auction (where a unique F.P. Journe sold for US$290,000), François-Paul Journe is one of the most talented and successful watchmakers of his generation, being both revered by aficionados as well as building a sustainable business making about 900 watches a year. While rightly regarded as being occasionally prickly, Mr Journe can be extremely compelling when engaged on the right subjects. 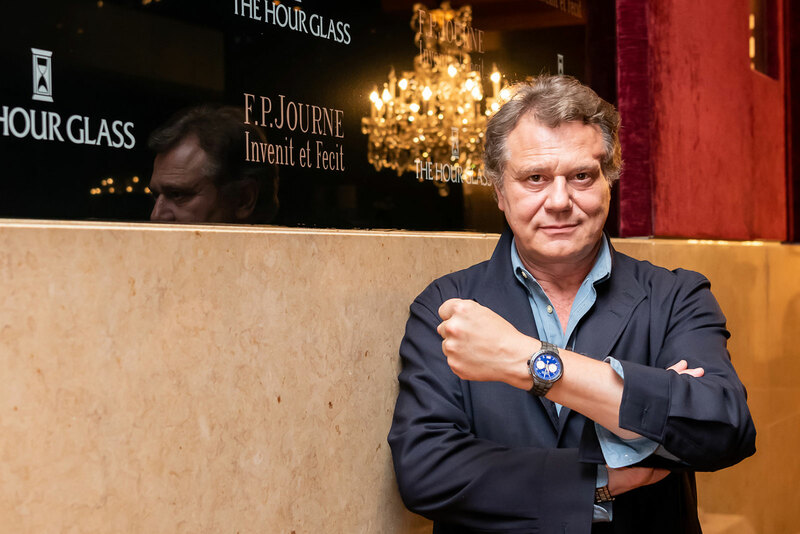 Just before meeting collectors over dinner, I got an hour with Mr Journe, who discussed the 2019 “novelties”, the collectibility of his earlier creations, and also the future of Montres Journe, now partly owned by the Gerard and Alain Wertheimer, the brothers who own Chanel. Gino Cukrowicz helped with translating portions of the interview. Mr Cukrowicz is the owner of Ginotti, a watch retailer in Antwerp, and also a shareholder in Montres Journe. The interview has been edited and condensed. I hear you have some very interesting watches for next year. It’s true. Several. In January, because it is the 20th birthday of Tourbillon Souverain, we have a completely different, new tourbillon. And we have a big complication for Only Watch that will be presented in June [as the successor to the discontinued grande sonnerie]. And will the Only Watch creation go again to the same collector? I hope not. I hope [the organisers] can make it tax deductible for US citizens; we have a lot of big collectors in the US. They don’t have a problem buying but when they give a big amount of money to charity, they want to be able to deduct it from taxes. Can you say what is going to be interesting with the new tourbillon? It is a little bit like the first one of 1991 but made with the technology of today. I can’t say more. Are you going to develop more quartz movements? I am busy working on a movement with a perpetual calendar [for the Elegante]. It will have the same concept: when the watch is in the drawer for three or four months, it sleeps, but once you pick it up, it will return to the right date, time, everything. It’s quite complicated to do; the watch needs to know what has changed [while it was sleeping] and then need to have the right time, date. That’s the biggest problem, the link between the electronic part and the mechanical part. Why do you put so much effort into developing high-end quartz movements? I like to do things that other people are not doing. If I want to exist then I have to do things that are better than all the other brands. How do you think of all these new movements and watches? On the train, Geneva-Paris, Paris-Geneva; three hours one-way. No phone, and I can work. One of your most successful watches ever is ironically the most affordable, the Chronometre Bleu. How did that come about? For my first watches, I wanted to create watches with blue dials and steel cases, in 1995 or 1996. Then everyone started doing steel cases during that time, so I used platinum instead, but I did not find the right blue dial. In 2006 or 2007, Jean Todt [a personal friend and former chief executive of Ferrari] wanted a grand sonnerie watch with blue dial. Les Cadraniers de Genève [the dial maker owned by Montres Journe] finally made a blue I liked. Then the director of Les Boitiers de Genève [Montres Journe’s case making subsidiary] developed the tantalum case, which ended up with sixty new tools for the stamping of the case. I launched the Chronometre Bleu during the financial crisis [in 2009], so the price was low. It’s almost no margin, but I kept the price the same as an entry into the brand. Even though its sales are good now, it helps shops sell watches during hard times, helps to pays salaries and rent. Some of your early watches – the Souscription tourbillons – have gone up a lot in value. At the recent Phillips auction, the price was a record. 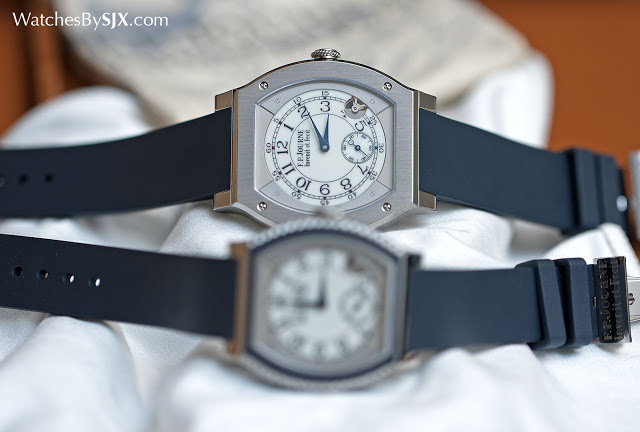 How important is it to you that your older watches increase in value and become collectible? Auctions are the judgement of God. If it is a success, it means that I did the right things so it gives me a lot of satisfaction. 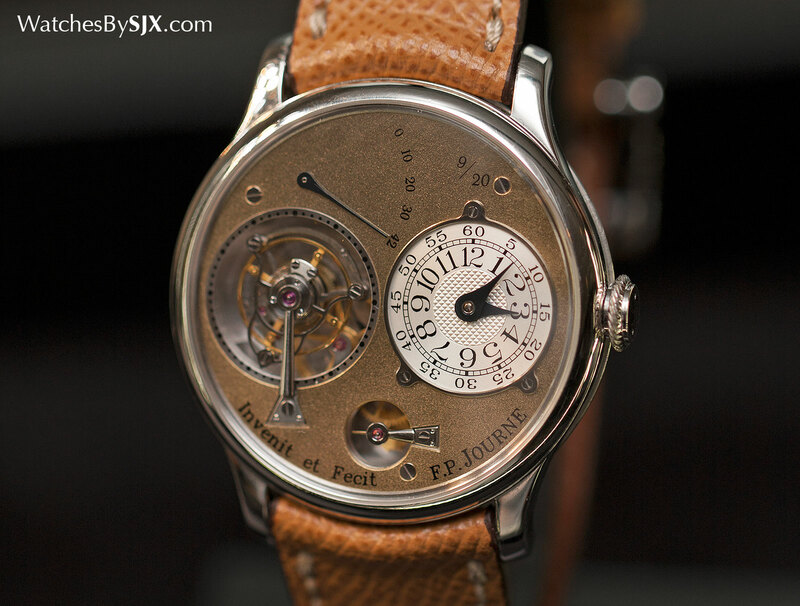 Do you think collectors will start collecting independent watchmaking more in the future? It’s possible. They are more a piece of art. You also need to produce enough watches because imagine a watchmaker who makes only 50 watches, there are not going to be 300 people who will fight for it. You can’t create a market or a demand for watches that are too rare. It’s like the market for 17thcentury enamel watches – impossible. Now you also have the F.P. Journe Patrimoine collection where you offer the older models. Do you have any plans to develop the market for your earlier watches, past limited editions? Those watches are already expensive. I don’t want to increase the prices [on the secondary market]. I created the Patrimoine for some customers who were looking for the early models but have no knowledge of the quality and condition. And through the Patrimoine I am trying to give good service and good prices. A few months ago, there was a Hong Kong collector who was looking for the limited edition Octa Perpetuelle [Tokyo boutique]. There was one on Chrono24 for €70,000. The client wanted me to buy the watch, restore the watch and then send the invoice to him. I told the client that €70,000 is too much for a watch with no papers. But fortunately I found another one from another in the US who passed away. So I bought it from the family and sold it to the customer in Hong Kong for SFr69,000. You helped the client in Hong Kong find the watch he wanted. But now that F.P. Journe as a company has become much bigger, how do you still maintain your relationships with individual customers? Every time I go somewhere for an event, I get the opportunity to customers, like tonight, here in Singapore. Slowly, I get to know them better. Have you got any good ideas recently from customers that you made into a watch? No, luckily. [laughs] The idea is not to create what the customer wants but to surprise them. Recently there was news about Chanel investing in Montres Journe. What is the long-term plan for the company? You also talked about Enzo Ferrari in a video recently. In the beginning there were three shareholders, and now there’s a fourth one. It doesn’t change anything about the future of the company. If something happens to me, it protects our children from external predators. So now they’re out; all those big groups like LVMH, Richemont, Kering, Swatch Group – they can’t buy us anymore. For F.P. 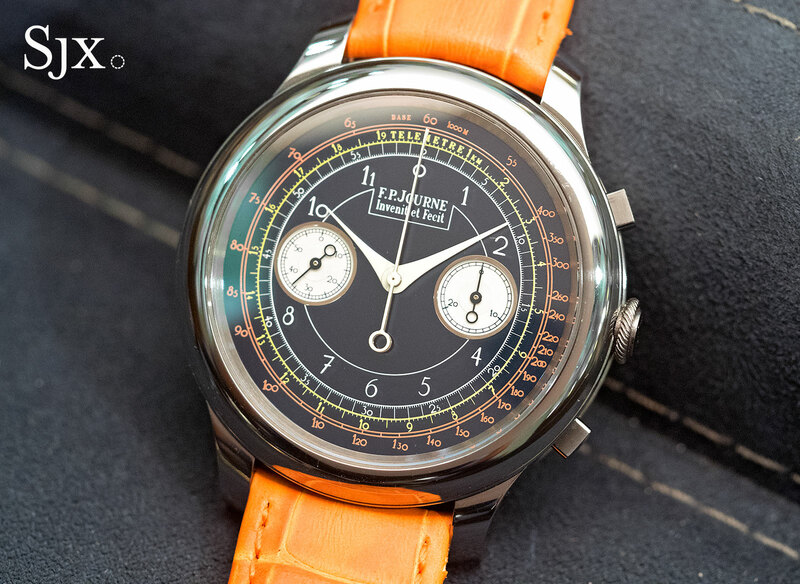 Journe to become like Ferrari in 50 years. It has to become a brand, more than a person. What are your thoughts on that? I compared myself to Enzo Ferrari because in my mind there are a lot of similarities between what Enzo did in the early 1960s and what I did in the early 1980s. From the beginning, Enzo produced his own chassis, his own engines, everything to complete the car. Today we have the same company structure as Ferrari in the 1960s. Enzo was lucky that he was a really good friend of the Agnelli family because if he was not, the company would be finished at his death. Fiat invested a lot of money in the company to make the cars better, using modern technology because production must also grow. But for F.P. Journe, the investment is to protect the company because big groups were watching, and now they have to close the book. I chose the owners of Chanel because they are big watch collectors and also very good friends. Chanel is also a company that is not on the stock market. It’s a 100% family business, and they don’t make a lot of mistakes in their way of working. If our children were to sell the company to Richemont or another group, the brand would die in 10 years. There are many independent watchmakers but few have been as successful as F.P. 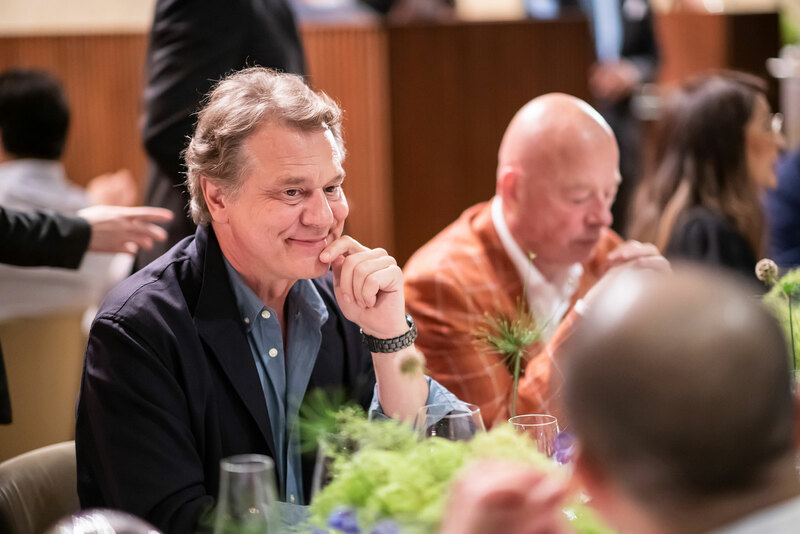 Journe in turning a one-man show into a brand that has lasted. You have your own shops, and also investors. What’s the secret of your success? First of all, we had people who bought our watches from the beginning. We don’t need external capital because we were making money from day one. So main question is to ask why they buy my watches. Eighty per cent of clients buy my watches because I don’t make the same watches as the rest. If I were to do the same things as Patek or Breguet, no one would buy my watches. The strength lies in being myself – being creative, making my own movements, being innovative. Are there any other watch brands or watchmakers that you are impressed by? I am not crazy about the big brand but there are some products from some brands that I particularly like. I find what Rolex did with its escapement very intelligent. And I like the way Tissot did its automatic chronograph movement. Have any of the watchmakers who won the F.P. 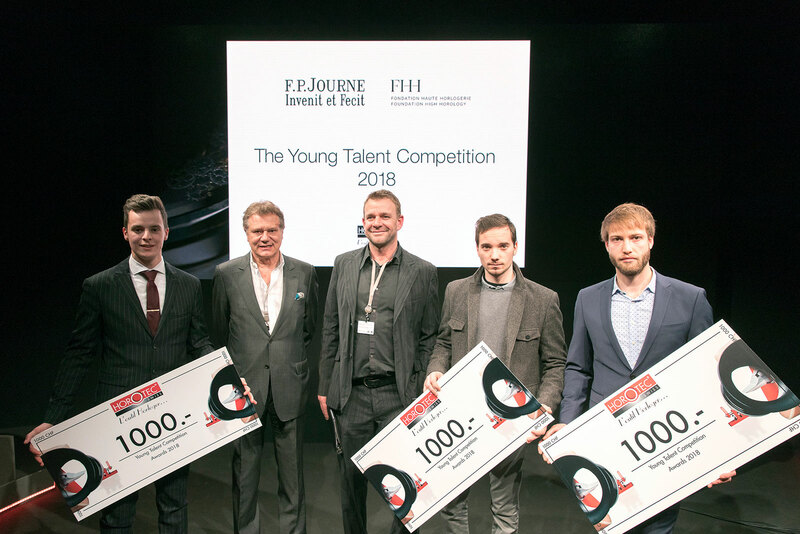 Journe talent competition gone to work for your brand? No, they are youngsters who are not ready to work in a company. If you participate in the competition, you have to create something on your own; that is already a statement that you want to be independent. The purpose is not to hire them but to give them the confidence to go their way. The contest puts them in the spotlight, it’s the first page of their book – with that and the tools that are the prize, they should be able to find clients [for their watches]. It is not easy for youngsters to start the way I did. I was lucky I started to work at my uncle’s place. He had all the tools so I didn’t have to invest in anything. Unfortunately, not everybody has the chance. So you have to help them a little, like how Chanel helps a lot of little companies in fashion. So we do the same in hopes that these unknown watchmakers will grow. But business goes on as before.